If you own a Silhouette electronic cutting machine, what a great way to stock up on your favorite Silhouette supplies and products. Last month, they introduced a new Pixscan mat that looks really fun and a vinyl roll feeder that helps feed the vinyl to your machine easily. I needed a replacement part for my machine, so I was happy to see the 40% off sale! Just about all products at Silhouette America are 40% off now through October 1st, 2014. This does not include cutting machines, but there are lots of great deals to be had! Click below to be taken to the Silhouette America store and once you sign in, you can use coupon code BIRTHDAY at checkout. 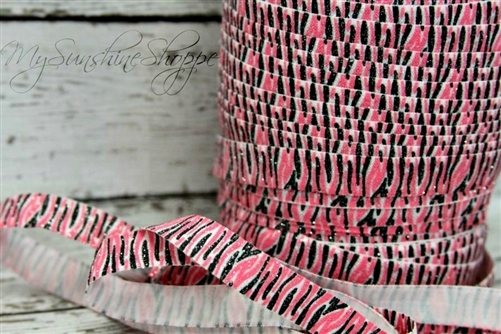 Did you see our DIY Hair Tie Tutorial but wonder where to get fold over elastic at great price? 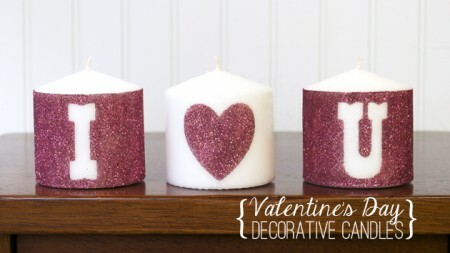 These are so so easy to make and would make amazing gifts or party favors. 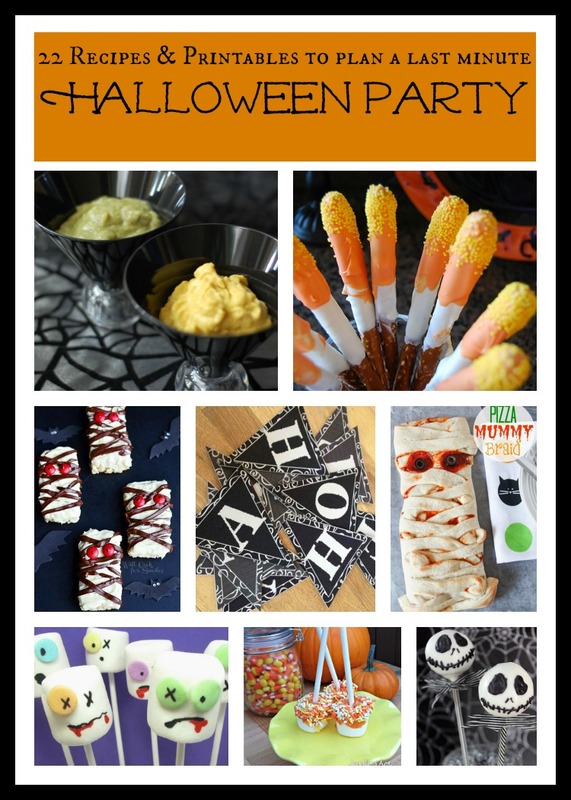 They are so easy to make too that my girls can help make them! 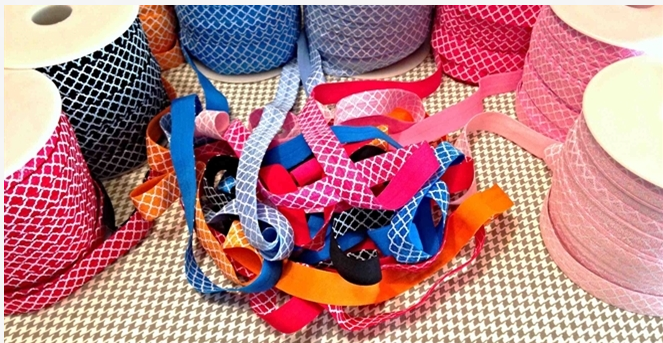 Jane has nice sale today on Chevron and Quatrefoil Elastic that I think would make super cute hair ties. Look at all these cute colors and patterns! Jane has tons of other cute stuff. It is one of my favorite new daily deals site. 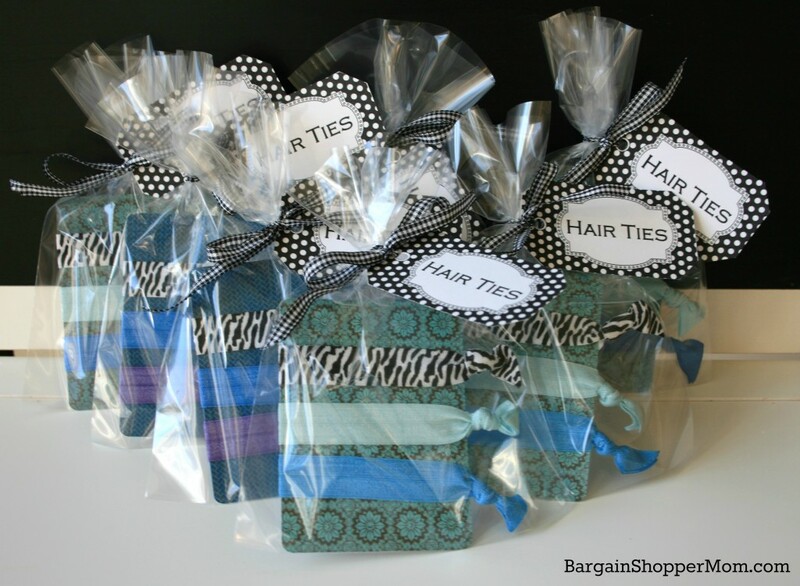 If you dont want to make the hair ties yourself they sell them premade too! Plus tons of cute jewelry for kids and adults and home accessories! 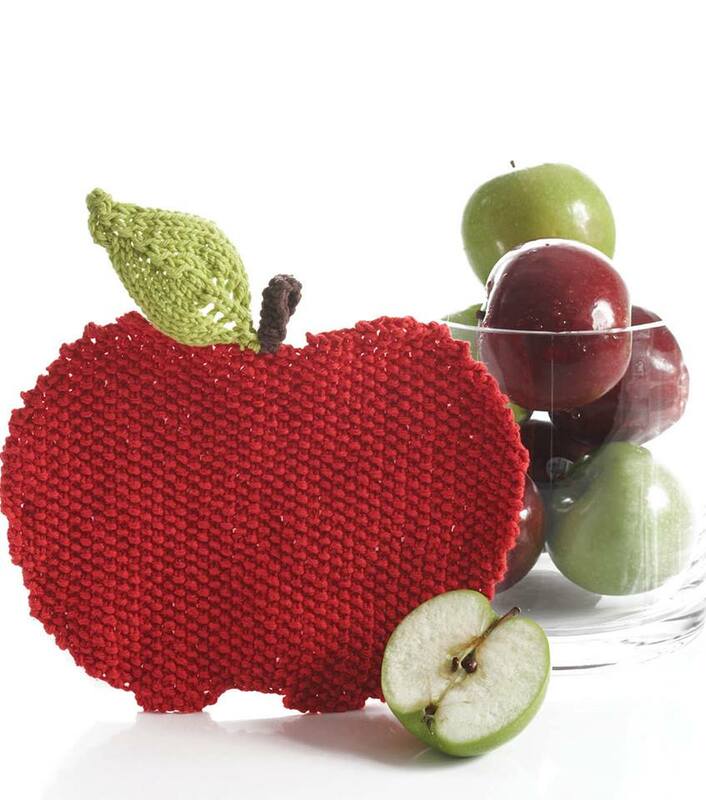 There are lots of great items on sale at Joann.com and shipping is flat-rate for just 32 cents today! I noticed that these Stretch Band Bracelet Loops are just $1.19 for 500 bands and come in 10 different colors. 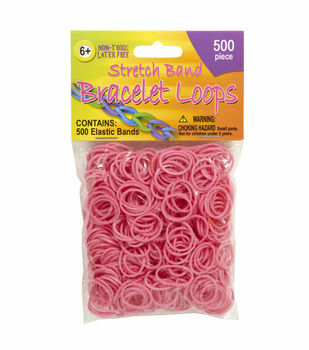 There are also some fun striped rubber bands, glow rubber bands and glitter bands for just $1.79 made by Loom Bands. My daughter has never tried either of these brandsof rubber bands, but I did notice that they are latex-free and non-toxic. Note that connectors are not included. Also, if you have a Silhouette machine, blades are just $7.79 at Joann.com. What a great time to stock up and take advantage of the almost free shipping! It’s no secret that my favorite crafting toy is my Silhouette Cameo electronic cutting machine. 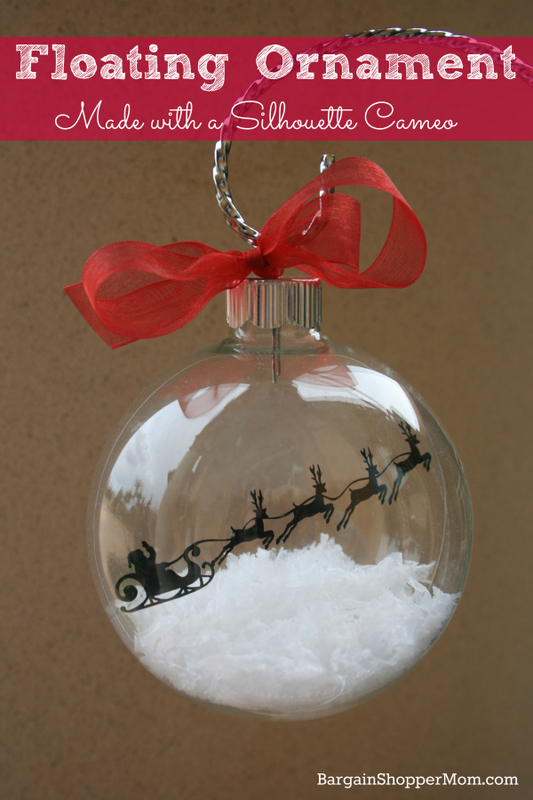 With some inspiration from Pinterest, I decided to make this really pretty, floating glass ornament. I bought some plain, glass ornaments from Hobby Lobby. I used my Cameo to cut a piece of one of those clear transparency sheets from the office supply store. It has a notch at the top to hold it into place. I cut Santa’s Sleigh out of black vinyl and applied it to my transparency insert. I rolled up my transparency and tucked it inside my ornament, and then added some fun snowflakes from the craft store. To give you an idea of how detailed the Cameo can cut, the vinyl is only 3/4 of an inch tall! To get started with vinyl for your Silhouette machine, check out our resources and tips on working with different types of vinyl! 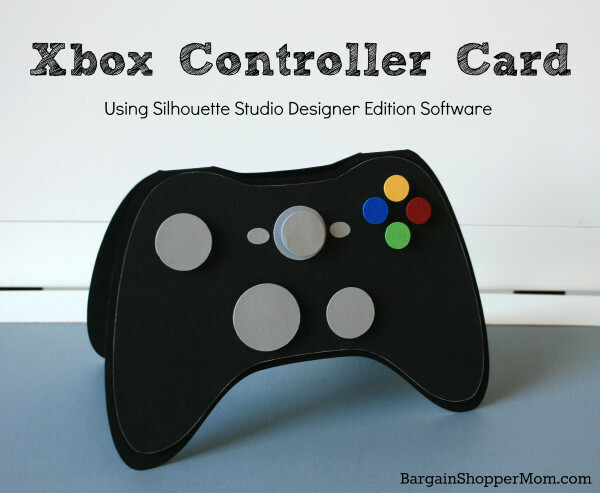 You can make so many cool things with Silhouette Designer Edition software like this cool Xbox Card. I found this free SVG from Birds Cards. 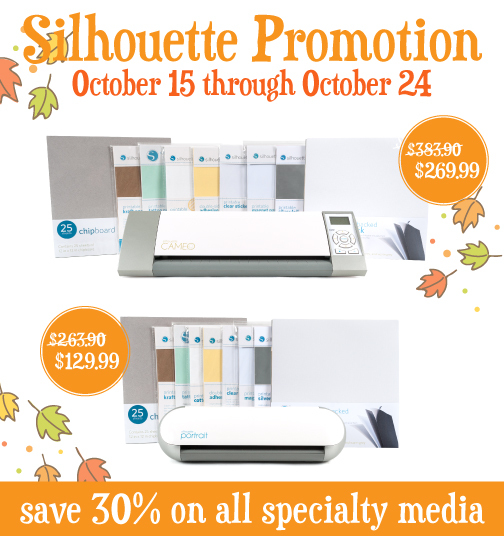 Silhouette America is having a nice sale on lots of fun products to use with your Silhouette electronic cutting machine. All of their Specialty Media products like the Printable Silver Foil, Printable Tattoo Paper, Printable Cotton Canvas and more is currently 30% Off. If you don’t own a machine, there are also some great bundles on sale that include $110 worth of extras with the purchase of your machine. The Silhouette Cameo and Silhouette Portrait Bundles will include 9 different specialty media products with a $110 value, for the price of a machine. 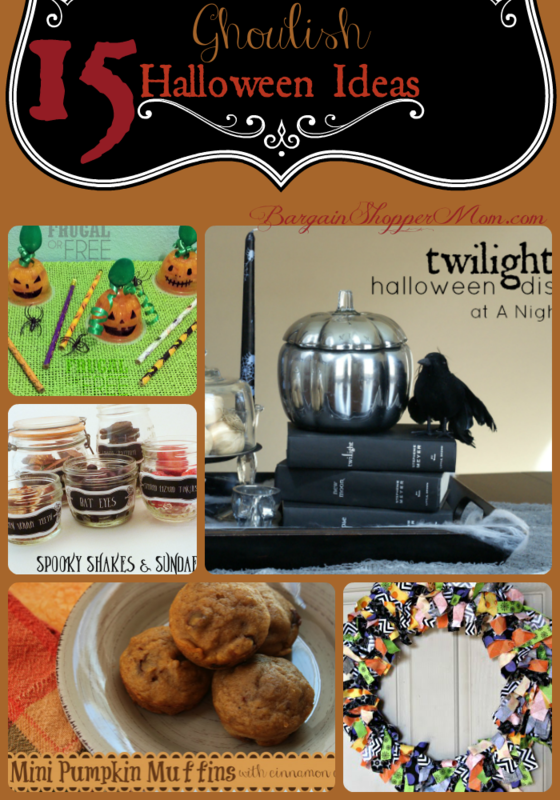 Use coupon code BARGAIN to receive these discounts now through October 24th. 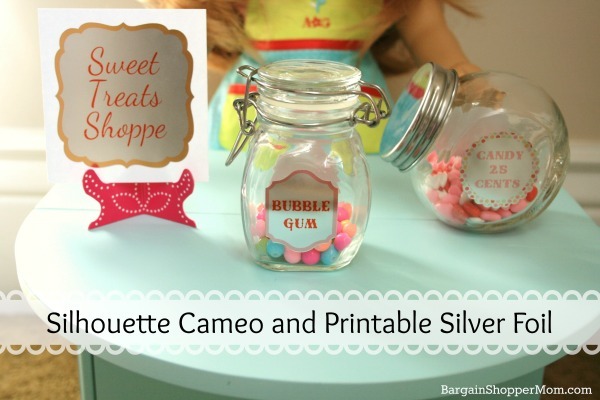 My daughter loves American Girl, so I tried out the Silhouette Printable Silver Foil to create a Treats Shoppe for her dolls. I found these cute little glass containers at Hobby Lobby. They were 50% off this week, making them just around $1-$1.50 each. 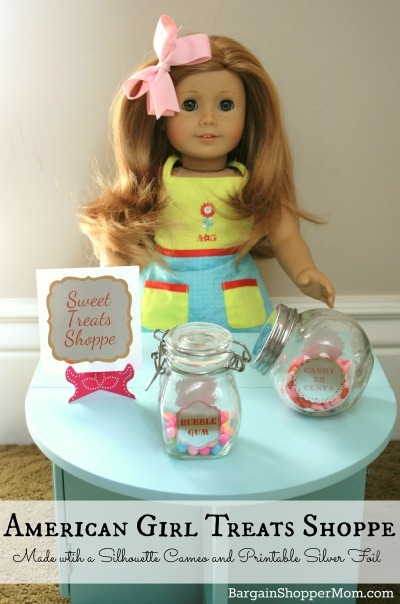 I used some beads and small candies that I had here at home to make doll candy to go inside the jars. 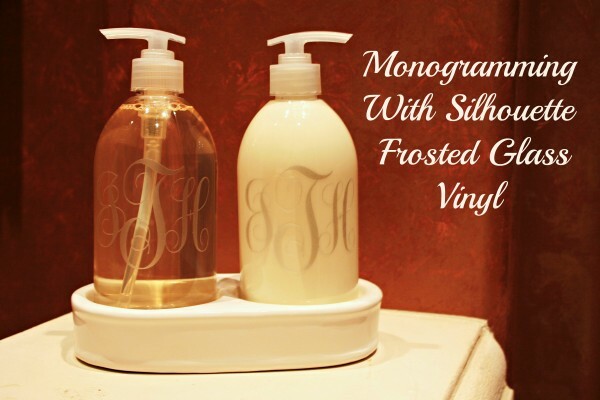 I print and cut the silver foil labels with my Silhouette Cameo. Note that the silver foil paper needs a few minutes for the ink to dry after taking it out of the printer, before doing your print and cut in the Silhouette. I also noticed that darker colors work better on the silver foil paper. If you own a Silhouette electronic cutting machine, it is a great time to stock up on mats, blades and more. With the coupon code BARGAIN, From now until September 19th, you can enjoy 25% off all consumables at Silhouette America. This includes mats, blades, tools, Silhouette Designer Edition Software, cardstocks, glitters, vinyl and more! 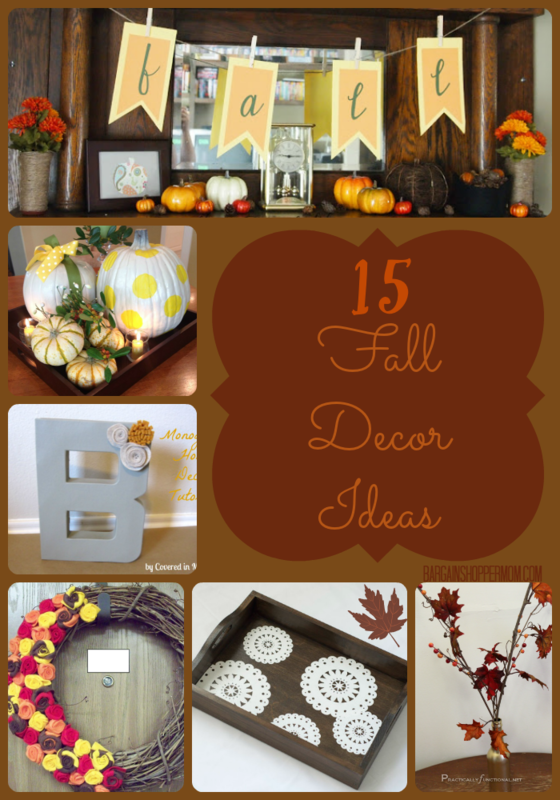 What a perfect time to stock up on products to use with your machine. To use the coupon code, be sure you are logged in before entering the code. This sale excludes machines, downloads, download cards, subscriptions and gift cards. If you have been thinking of making your own hair ties with our super easy elastic hair tie tutorial, Pick Your Plum has a great elastic sale today. 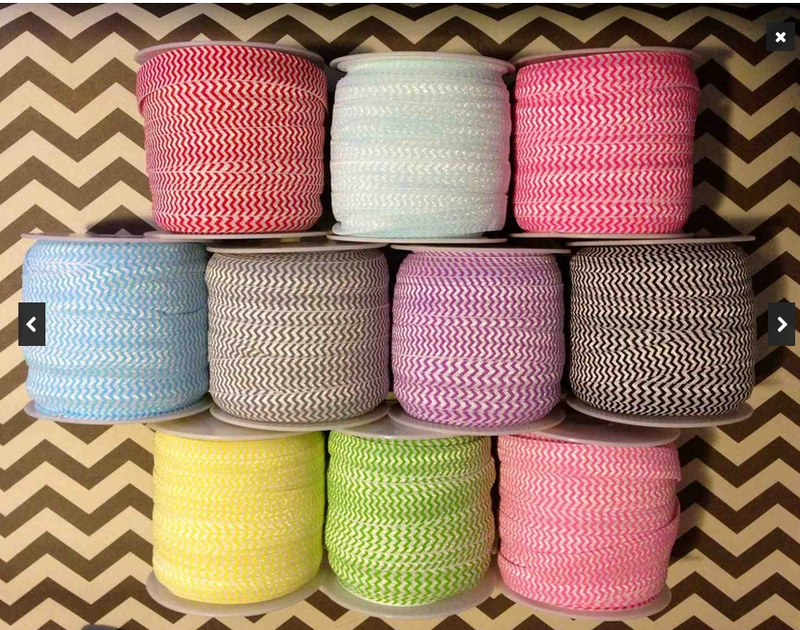 The “Juicy” Details: Light and Breezy elastics are 5/8″ wide to 3/8″ wide. They are fancy. The bold and basic elastics are 5/8″ wide and are plain, Each card of elastic includes 5 colors with 3 yards each, for a total of 15 yards per card. Fine Print: Elastic ships for just $3.99 (for up to 14 orders) or only $10.99 for the Canadian friends. Packages will be on their way on or before August 8, 2013. The hair ties are super easy to make even for a non crafty person. They are a super super bargain compared to the cost of these at stores. 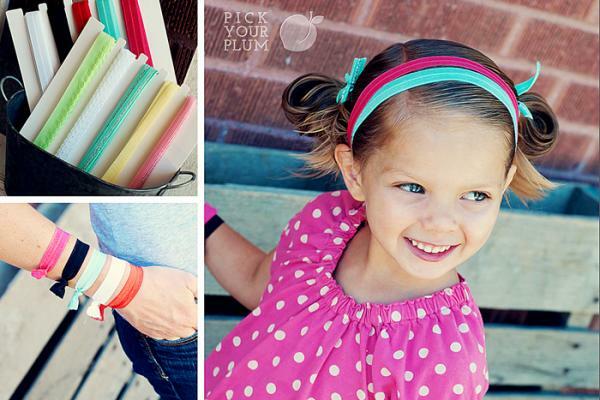 Buy some elastic and make a bunch of bargain hair ties today. If you have been thinking about taking the plunge and buying either a Silhouette Cameo or Silhouette Portrait electronic cutting machine, Silhouette America is offering some great machine and Silhouette Studio Designer Edition software bundles at a discount. If you already own a Silhouette Machine, they are offering 50% off their Silhouette Studio Designer Edition Software. The upgraded designer edition software usually is priced at $49.99 and with the coupon code you will get it for just $24.99. 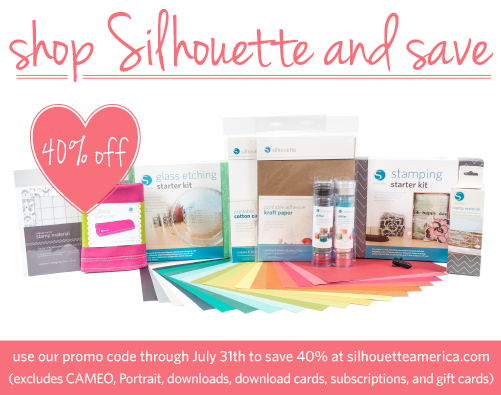 The Silhouette Cameo software bundle is specially priced at $269.99 ($348.98 value) and the Silhouette Portrait machine and software bundle is specially priced at $129.99 ($229.98 value). To receive these discounts, visit the Silhouette America July sale page and use the coupon code “BARGAIN” from now until July 12th only! The Silhouette Studio Designer Edition Software will give you so much more freedom with your machine. My favorite feature of the Designer Edition software is the ability to cut SVG (Scalable Vector Graphic) files. 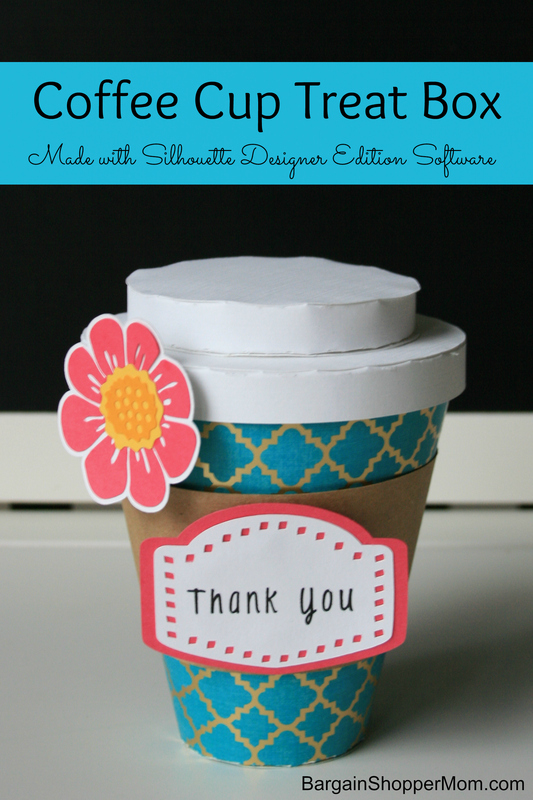 With the free software that comes with your machine, you can only cut images from Silhouette’s online store. With the upgraded software, you can find so many fun files on the internet. I have found many free SVG files to download or I purchase files from the many independent online stores that sell SVG files. Check out this Xbox Controller-inspired card. I used a free SVG file from Bird’s Cards and my Silhouette Studio Designer Edition Software to cut this card in my Cameo machine. I know one of my son’s friends will love getting this game controller birthday card! The Silhouette Cameo machine and the Silhouette Portrait machine are electronic cutting tools that uses a small blade to cut paper, cardstock, vinyl, vellum, and fabric. The Silhouette Portrait is smaller than the Silhouette Cameo machine, but it’s just as powerful. The Cameo can cut up to 12 inches wide and 10 feet long and the Portrait can cut up to 8 inches wide and up to 10 feet long. I received a the larger Cameo machine for my birthday last year and I am shocked how versatile it is. 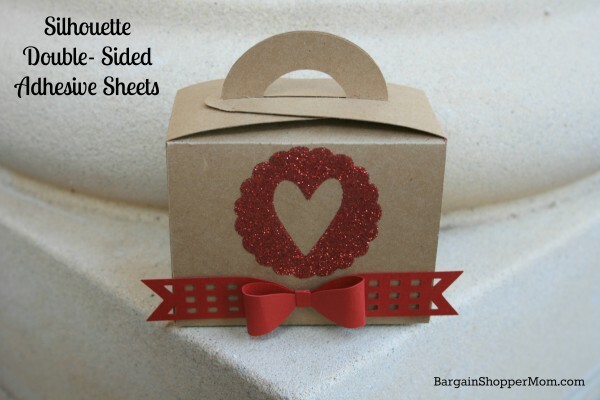 It can cut 3D items like party favor boxes, gift bags, cards, and so much more! This Giveaway Ended June 9th, but be sure to check out the Silhouette Discounts that go through June 15th! We are celebrating the 3rd Anniversary of BargainShopperMom and what better way to do that than have a Silhouette Portrait machine giveaway, sponsored by Silhouette America! Congrats to the winner of our giveaway, Mindy N! If you have been considering one of the Silhouette machines, Silhouette America just released a great sale on the new small, but powerful Portrait machine and the Double Side Adhesive Starter Kit for just $179.99. The are offering an excellent Portrait bundle for Valentine’s Day. 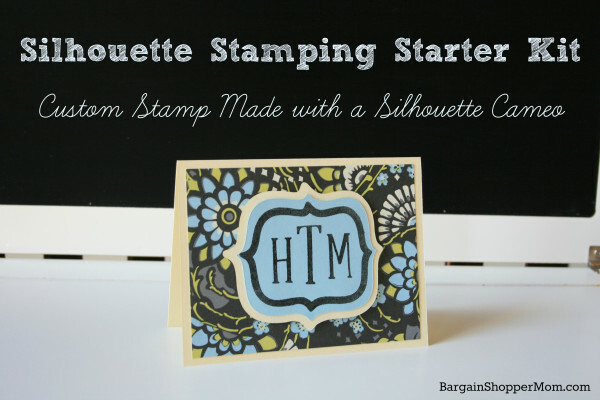 If you already have a Silhouette machine, there is a great sale on the Double-Sided Adhesive Starter Kit for just $12.99. This deal runs from today through February 14th. Use the coupon code “BARGAIN” to get this great deal. Silhouette America Valentine’s Day Sale! 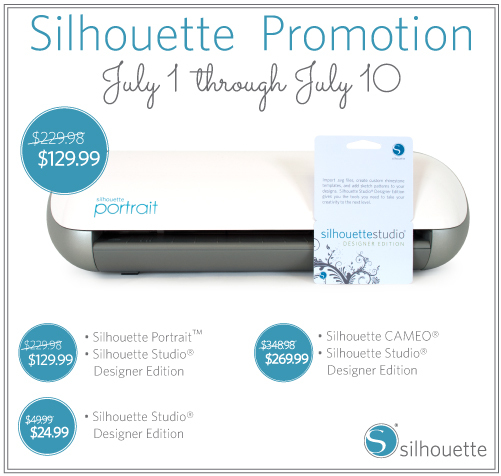 Great Deal on the Silhouette Portrait Bundle and the Double Adhesive Starter Kit. My daughter has one of these personal-sized Cricuts. She got it at age seven and loves it. It has really come in handy for school projects and fun crafts. She also makes all of her own birthday cards for friends and family members and we get surprised with her creations on Mother’s and Father’s Day. It’s definitely easy enough for a tween to operate. The Cricut V1 personal machine is an electronic diecutting machine that cuts paper, cardstock, vellum, vinyl, fabric and light chipboard. It can cut up to 5.5 inches tall. Cartridges are required to diecut a variety of images and 3D items. 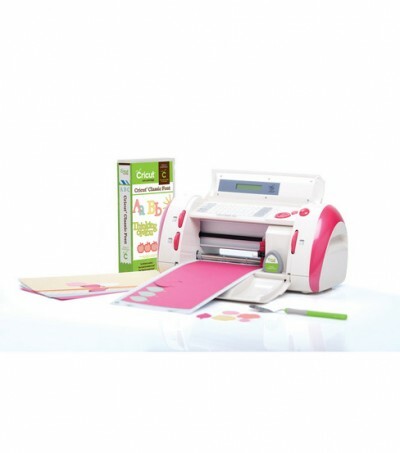 This Cricut V1 personal-sized machine has pink trim and comes with the Cricut Classic Font Cartridge. Additional cartridges are available for purchase. 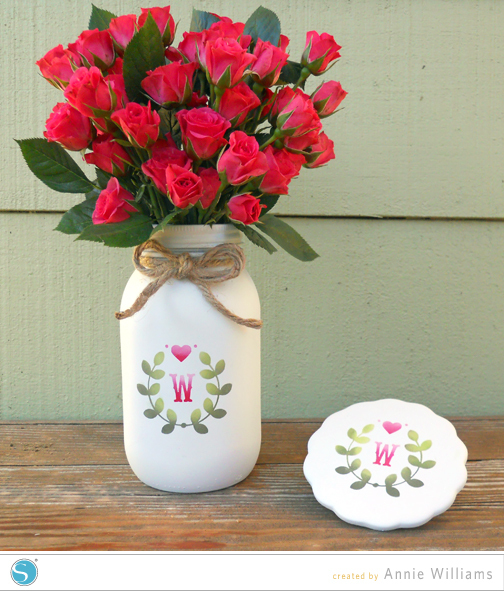 No computer is required to use cartridges with your machine, but if you wish to connect your machine to your computer, Cricut offers their Cricut Craftroom online software. The software is free, but you will need to purchase any downloaded images or cartridges that you wish to use with your software or use the cartridges you already own. This deal is an online exclusive price on Joann.com on January 8, 2013 only and shipping is free with coupon code TRJ008. Joann.com has two great sales going on. They have a web-exclusive sale with lots of great storage and craft items on sale and a great sewing machine sale. 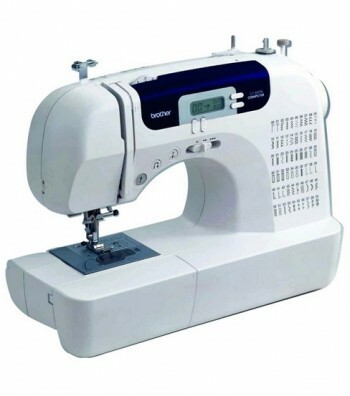 Sewing machines ship for free to all U.S. addresses and all other items ship for $2.95 flat-rate. The web-exclusive sale is on now through December 29. 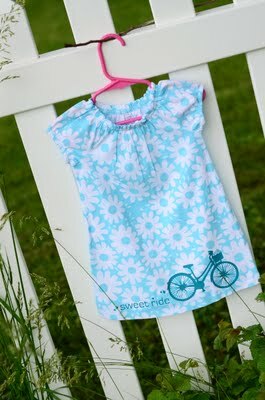 Use coupon code SDW363 for $2.95 flat-rate shipping at Joann.com. 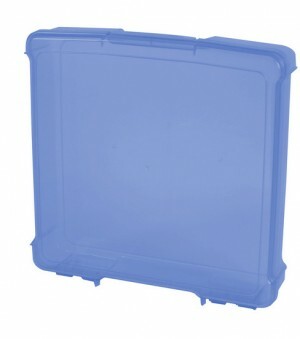 IRIS scrapbook storage cases are on sale for just $3.99 each. 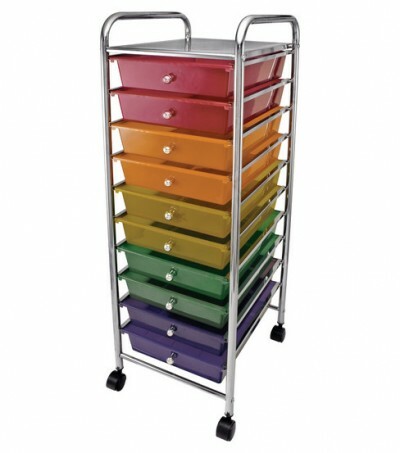 I love these for my scrapbooking, craft projects and my kids use these for their Lego projects. These tall craft storage towers are on sale for $34.99 (reg. 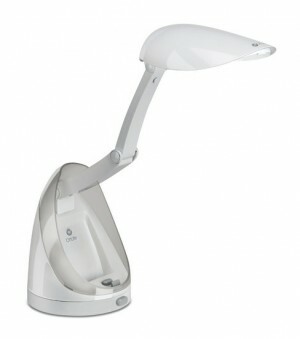 $89.99) and Ott-Lite 13W Pod Lamps are just $19.99 each (reg. 69.99). You can find all of these deals at the web-exclusive Joann.com sale now through 12/29. 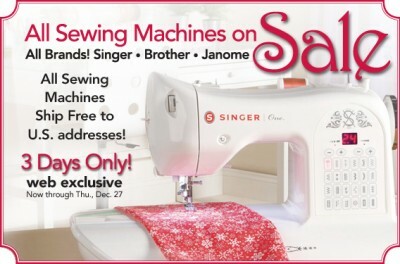 The sewing machine sale ends today, 12/27. What great discounts on some great brands of machines, including some computerized machines. I see popular Singer, Brother and Jenome machines at great discounts. This Brother sewing machine is over 50% off. The regular price on this machine is 449.99 and it’s just $159.99 through today with free shipping to all U.S. addresses.